Website is not available for Quinn Helix. Poster is not available for Quinn Helix. There are no videos available for Quinn Helix. Twitter feed is not available for Quinn Helix. Facebook feed is not available for Quinn Helix. Linkedin feed is not available for Quinn Helix. MySpace feed is not available for Quinn Helix. Google Plus feed is not available for Quinn Helix. Flickr feed is not available for Quinn Helix. Instagram feed is not available for Quinn Helix. Pinterest feed is not available for Quinn Helix. Youtube feed is not available for Quinn Helix! Vimeo feed is not available for Quinn Helix. You have to be a registered member to use promotion code service of this mistresses, click here to sign up, registration is FREE!! A QR code (Quick Response code), is a type of barcode that can be easily scanned with your smartphone. It will take you straight to this profile, without the hassle of typing in long and complicated web addresses. 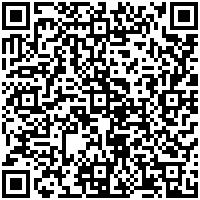 theDominationWeb offers QR codes for every profile.